Around the turn of the first millennium, Norse travellers arrived in North America. They settled in a land they named Vinland, which the sagas boasted of having grapes to make wine and an abundance of natural resources. However, the colony did not last. Brigitta Wallace, one of the leading scholars on the Vikings in North America, examines why their settlements failed. 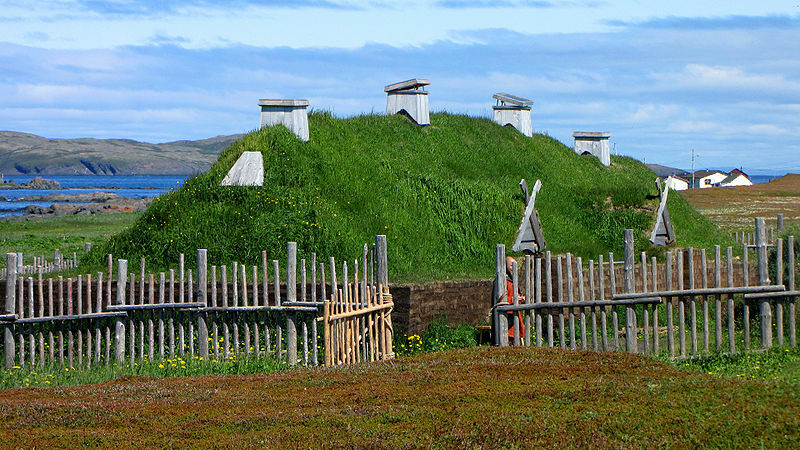 Wallace, a senior archaeologist for Parks Canada, presented her paper ‘L’anse aux Meadows: Different Disciplines, Divergent Views,” at the Sixteenth Viking Congress, which was held in Iceland in 2009. The papers from that conference have recently been published in Viking Settlements and Viking Society. She sees Vinland as comprising the coastal areas around the Gulf of St. Lawrence, with L’Anse aux Meadows being the most likely location of what was called Straumfjord at the north end, that the location known as Hóp according to saga sources would be in the Miramichi or Chaleur Bay areas of eastern New Brunswick. Wallace believes that the connection between the Norse settlement in Greenland was instrumental for the future of Vinland. It is estimated that Greenland had about 500 inhabitants around the beginning of the 11th century, a number that would be too small to send extensive people westward to populate North America. The Greenlanders still had plenty of land and resources to make use of at home and probably not enough people to harness them, making it less likely that it would need to explore further areas. Another factor that prevented the Norse from establishing a permanent colony in Vinland was the presence of aboriginal peoples. Eastern New Brunswick was home to the Mi’kmaq, which had a large and dense population, and could provide formidable resistance to Viking encroachments. Viking Settlements and Viking Society contains over 30 articles, many of which look at archaeological and physical research throughout the medieval north. Other papers include ‘Love in Early Iceland’ by Gunnar Karlsson and ‘Scandinavia in the Melting-pot, 950-1000,’ by Else Roesdahl.